When a government and ruling party that themselves peddle disinformation now say they want to fight fake news, it is time for the media to batten down the hatches and prepare for the worst. Update (12:30 pm, April 3, 2018): Bowing to the angry reaction from the media, the Prime Minister’s Office has ordered the withdrawal of the I&B ministry’s fake news guidelines and said it is for the Press Council of India to take the matter up. 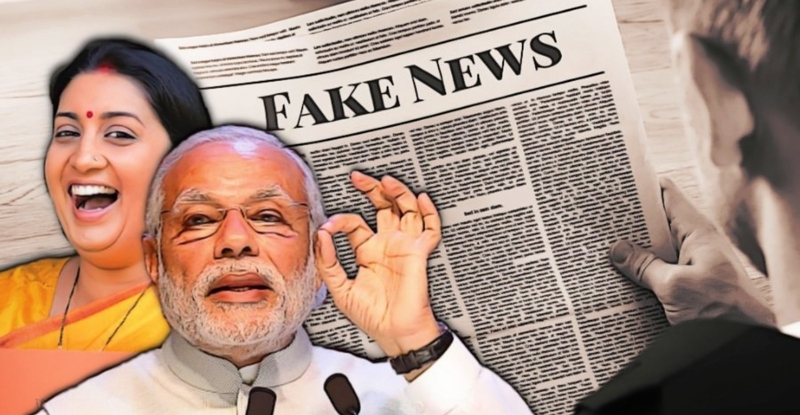 In the name of fighting fake news, the Narendra Modi government is laying a minefield for journalists and media houses that threatens what remains of the free press in India. On Monday, the information and broadcasting ministry spelt out new guidelines for media accreditation which, if implemented, will place media organisations at the mercy of trolls, bureaucrats and politicians and strengthen the already visible trend of self-censorship when it comes to politically sensitive stories. This is not speculation on my part. The hurriedly drafted rules are designed to produce that outcome. Consider this. As soon as a complaint of fake news against a print or television journalist is forwarded to the designated agency, her or his accreditation would immediately be suspended. The ministry’s amended guidelines for accreditation say that complaints against print journalists will be examined by the Press Council of India (PCI), while the National Broadcasters Association (NBA) would adjudicate on complaints against television reporters. Smriti Irani – the I&B minister who withheld the salary money of the entire staff of the public broadcaster, Prasar Bharati, because it resisted some of her demands – wants us to believe that since neither body is “controlled/operated by GOI” there is nothing to fear. Well, things are not that simple. The PCI is a statutory body with quasi-judicial powers that has government and industry members. And its budget comes from the government. The NBA, on the other hand, is essentially a voluntary association that most of our unethical channels have refused to recognise or have actually seceded from in the face of verdicts they disagreed with. Incidentally, since journalists working for the digital media are not eligible for accreditation under the ministry’s existing guidelines, the new rules will not affect them. This is ironic given the industrial scale production of fake news by Hindutva-oriented websites. Last week, the promoter of one such website was arrested in Karnataka for inciting hatred. Such a timeline is optimistic at the best of times but what will happen if complaints escalate in volume? The government press release is silent on how the complaints are to be screened or vetted and it is fair to assume that the PCI and NBA will quickly find themselves swamped with complaints. More ominously, the press release says, “Now on receiving any complaints of such instances of fake news, the same would get referred” to the PCI and NBA. Who will receive these complaints and who will do the referring? If there is to be screening, presumably by the ministry, what is the guarantee that political bias will not be involved? Complaints against the government’s favoured media houses and anchors and reporters will not make it past the front door, while those that target stories the government finds embarrassing might well get accelerated. Then again, if there is no screening, how will the PCI and NBA safeguard themselves against a flood of frivolous complaints lodged by troll armies seeking to police the boundaries of what can be reported and what can’t? As complaints mount and the PCI and NBA find themselves taking longer than the suggested “15 days” to adjudicate, scores of reporters will find their accreditation suspended indefinitely. Even more sinister is the threat to suspend the accreditation of an entire media house upon the determination of one instance of fake news. As a remedy or punishment, this sort of suspension sounds fine in theory. But in practice, editors and media managers would be wary of politics affecting the adjudication process. This will likely make them even more squeamish about stories that reflect badly on the ruling establishment than they already are – for fear of being targeted for anything that is politically sensitive. Turning to practical matters, what rules will these agencies adopt to determine the fakeness of a news report and differentiate it from garden variety inaccurate reporting? In some instances, the determination might be quite easy. As in when Zee News and Aajtak reporters claimed the new Rs 2000 note had a special chip embedded in it which would allow the government to detect illegal hordes even if they were buried 150 metres underground. But what about Caravan‘s stellar investigation into the death of Judge B.H. Loya? The BJP dismisses the reportage as “fake news” because some of Loya’s relatives who had earlier questioned the official story about the judge’s death have now fallen in line. Leaving aside the propriety of asking the PCI to weigh in on such a story, does it even have the competence to adjudicate on complaints involving complex, dynamic stories that are still being investigated and reported? The Indian Express reported on Tuesday how a ‘fake news-busting’ website evidently promoted by the BJP declared two of its stories to be “fake”. One of these was on the killing of a Dalit in Gujarat for owning and riding a horse, the other on the cabinet secretary’s note quoting the foreign secretary advising ministers to keep away from the Dalai Lama’s events. Since Irani herself has been tweeting from this website, does this mean she believes the reporters involved – and the Indian Express itself – do not deserve to remain accredited? Bizarre and stifling though the new guidelines are, it is possible that they represent only the opening salvo in what is a fuller assault on media freedom, and especially on digital news platforms. Irani has already warned that her ministry is drawing up guidelines for websites. And since the government cannot use the lever of accreditation against the digital media, other forms of restrictions might well be in the offing. Finally, it is worth asking whether the government and its ministers will be willing to accept penalties for the propagation of fake news and information by their own. 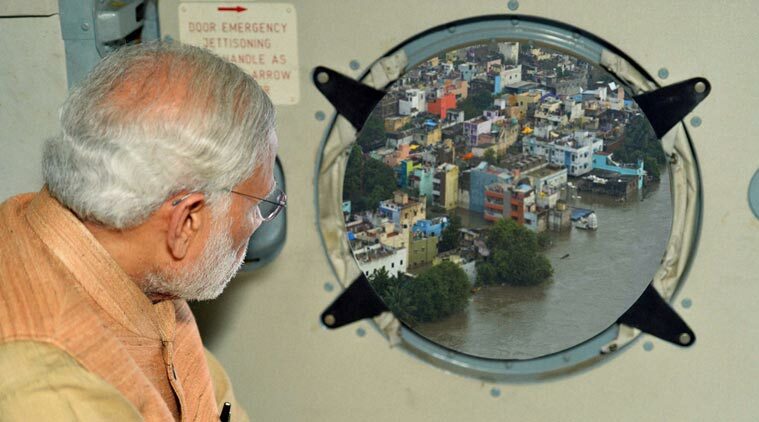 The PIB once morphed a photograph of Narendra Modi looking out of a plane window at the Chennai floods. Will the PIB agree to suspend itself for six months for its first offence? And what about the minister? In response to The Wire‘s story earlier this month on her standoff with Prasar Bharati, Smriti Irani got the I&B ministry to issue a formal press release blaming the withholding of salaries on Prasar Bharati not signing an MoU with the government. Her press release was issued on March 2, 2018. Swati Chaturvedi, the journalist who reported the original story, then filed an RTI to ascertain the status of the MoU. The response she received on March 16, 2018 was that the text of the MoU “is at draft stage and has yet to be finalised”.